The smart grid charging of electric cars with renewable energy advances. The Tennessee Valley Authority (TVA), the Electric Power Research Institute (EPRI) and Oak Ridge National Laboratory Friday (ORNL) announced that they will deploy solar-assisted charging stations for electric vehicles across the state of Tennessee as part of one of the largest electric transportation projects in U.S. history. Speaking at an event in Knoxville introducing the Nissan LEAF, TVA Chief Executive Officer Tom Kilgore said that the first prototype charging station using solar-generated electricity will be tested at EPRI’s Laboratories for Electric Transportation Application in Knoxville this spring, possibly near the University of Tennessee campus where many electric car enthusiasts may live in multi-unit dwellings where garage charging is not available. A second prototype will be built by ORNL in Oak Ridge. The prototypes will be tested for three to six months before expanding and constructing additional stations in Knoxville, Chattanooga and Nashville over the next few years. Modular solar charging stations can start with the charging of four cars and expand to over 10 electric cars and may be part of future fueling stations. 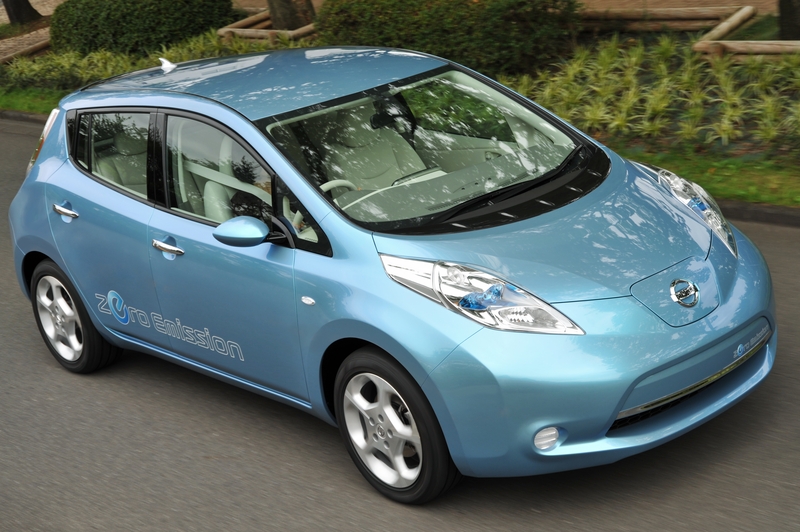 Both stations and Nissan LEAFs will use J1772 smart charging communication. This regional electric vehicle initiative is being done in conjunction with ETEC, which has received $100 million matching funding from DOE to install over 12,500 electric charging stations nationwide and a smart grid infrastructure. The solar-assisted charging stations will use the sun to generate power needed to offset the charge of the electric vehicles during peak power demand periods. While vehicles are charging, the stationary batteries and smart grid controls will provide additional localized support to mitigate any impacts on the power system. The solar-assisted stations will complement the standard home, commercial, public and fast-charging infrastructure needed to support the Nissan LEAF and more electric vehicles. TVA is the nation’s largest public power provider and is completely self-financing. TVA provides power to large industries and 157 power distributors that serve approximately 9 million consumers in seven southeastern states. TVA’s expansion into solar power complements its renewable energy leadership in hydro and wind power.